For decades the Magistrate has run the affairs of a tiny frontier settlement, ignoring the impending war between the barbarians and the Empire, whose servant he is. But when the interrogation experts arrive, he is jolted into sympathy with the victims and into a quixotic act of rebellion which lands him in prison, branded as an enemy of the state. 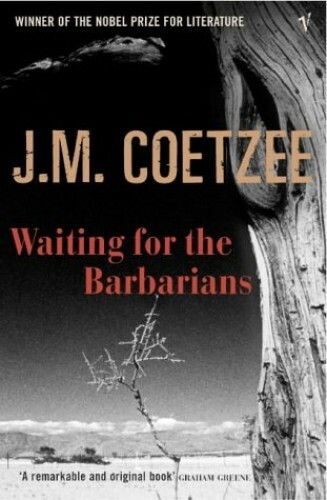 Waiting for the Barbarians is an allegory of oppressor and oppressed. Not just a man living through a crisis of conscience in an obscure place in remote times, the Magistrate is an analogue of all men living in complicity with regimes that ignore justice and decency.